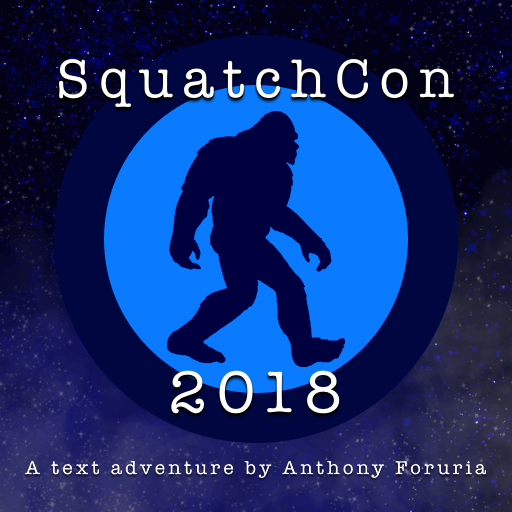 It's the evening before SquatchCon '18, California's biggest convention for Bigfoot-lovers of all foot shapes and foot sizes! 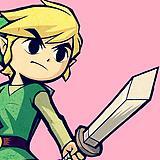 But you've run into some trouble on your way to the campsite, and now you're lost in the woods! Will you be able to find your way to the convention in time? How will you survive the perils of nature? And what could be out here in the forest? In SquatchCon 2018, you'll have to think like an orienteer, a survivalist, and most importantly, a believer. Gear up and get out there! Thank you for playing this, my first Text Adventure. This game is one of survival and exploration, so please remember that in the world of SquatchCon 2018, there are many outcomes depending on what you examine, take, eat, use, wear, etc. Be sure to experiment and play with what you find, and if you get an ending you're not satisfied with, don't be afraid to try again and see how things might've gone differently if only you'd made some different decisions. Have fun!